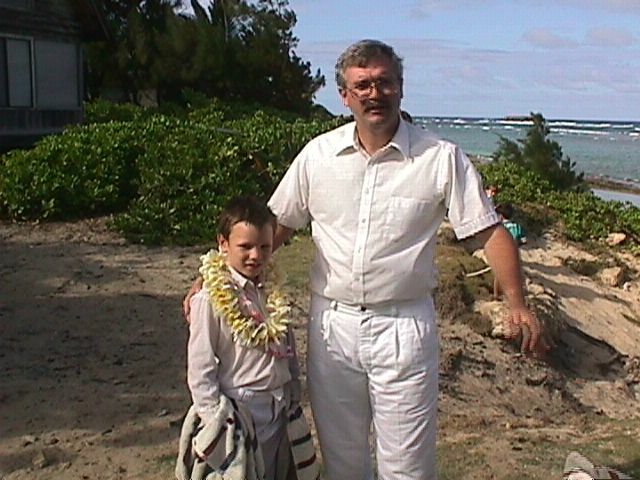 Baptism of Benjamin Todd Cameron April 20, 1998 at Laie, Hawaii This is a picture of Ben and his dad, Donald. 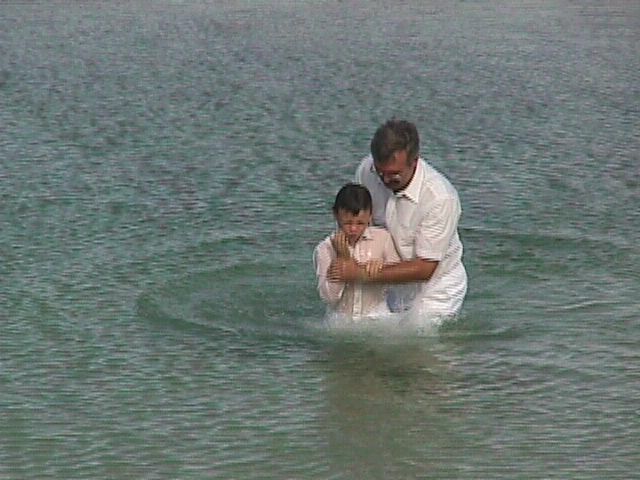 Donald, who holds the Priesthood, Baptized Ben. Ben is now a member of The Church of Jesus Christ of Latter-day Saints. We believe that children are born perfect and don't need Baptism until they are old enough to be accountable for their actions. We also believe that Baptisms must be performed by someone with the proper authority. We believe that the Priesthood of God has been restored to the earth, and that Baptisms must be performed by someone with this authority. 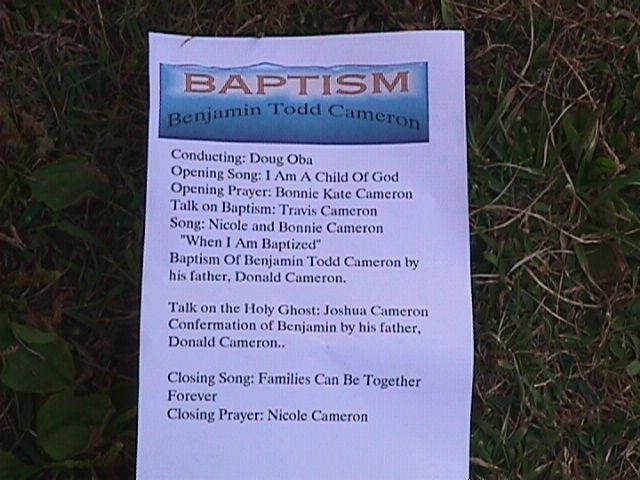 This is the program for the Baptism. Ben was baptized in Queen's Bathtub, a section of beach that was rocked in to form a bathing place for the Hawaiian monarchy when they travelled. At high-tide, the waves come up over the rock wall, filling the "bathtub". The rest of the time, the water is very calm, great for young children to play and perfect for Baptisms. 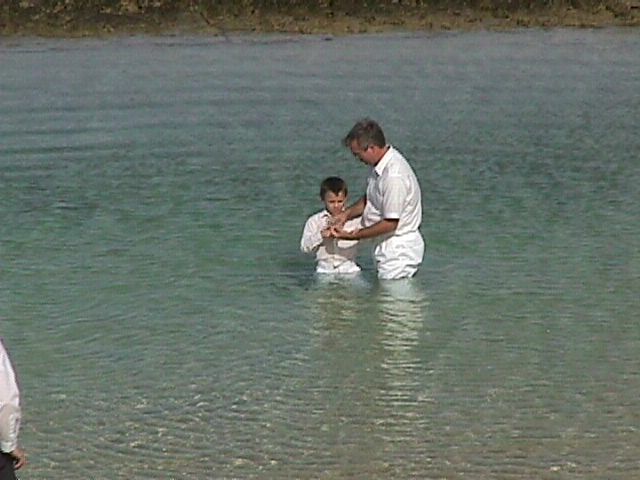 Ben and his dad are in the ocean, getting ready for the Baptism. Ben just after he was immersed (dunked!) in the water. 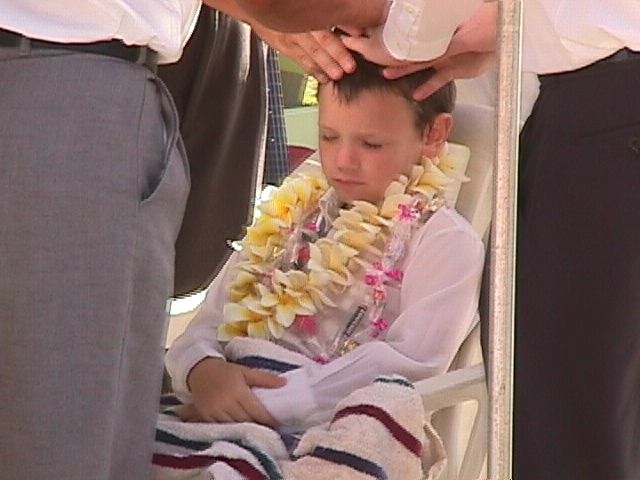 This picture is of Ben when he was confirmed a member of The Church of Jesus Christ of Latter-day Saints. He also received the gift of the Holy Ghost to guide him throughout his life. 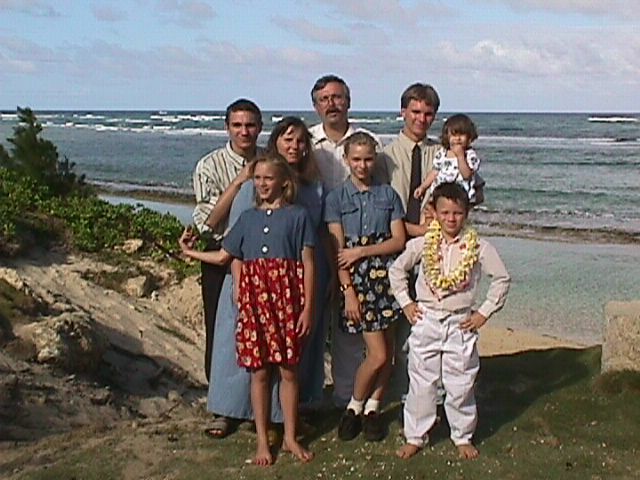 This is a picture of Ben with his family right after the Baptism. The wind was blowing, but it was a cool 82 degrees and sunny. After the Baptism, we went home for a bar-b-que with our friends. 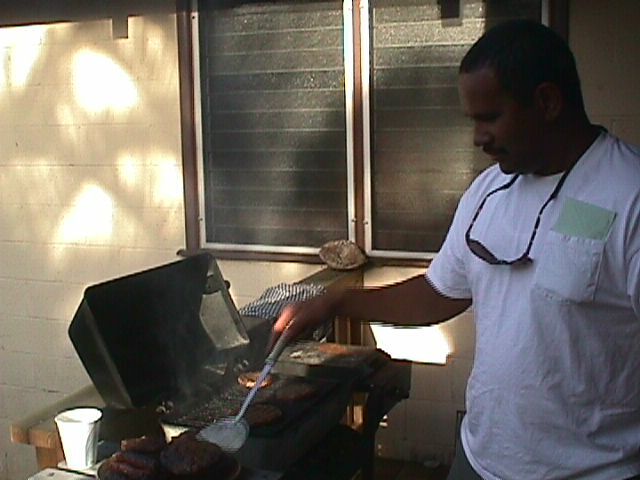 This is a picture of "uncle" Stan flipping burgers on the grill. 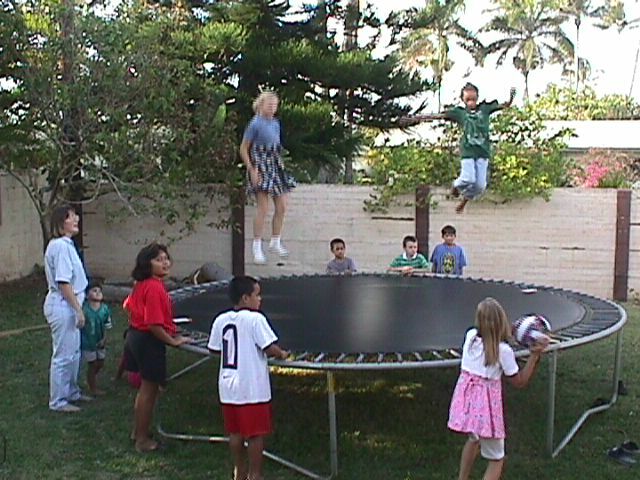 The kids had a great time jumping on the trampoline. They played dodge ball, crack the egg, and old woman. The trampoline was also used as a picnic table.